The alto is a golden fishhook. a thousand notes into one beat. one mumbling apologies, one sleeping. so slowly there will always be one left. 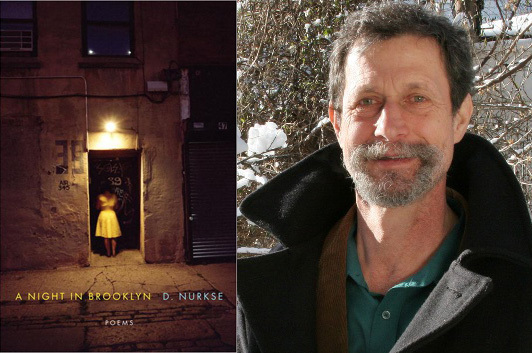 A Night In Brooklyn is the tenth collection of poems by D. Nurkse, the borough’s former poet laureate. It includes “Summertime” (originally published in The Atlantic), “The North Side” and “There Is No Time, She Writes,” “The Bars,” and “Damariscotta” (which was originally published under the title “Newfane”). Several poems appeared in Poetry; in addition to the poem that gives the collection its name, there’s The Rain-streaked Avenues of Central Queens,” “Psalm to be Read with Closed Eyes,” “The Dead Remember Brooklyn,” and “August in the Dolomites” (originally called “Engagement in the Dolomites” and then “A Marriage in the Dolomites”). 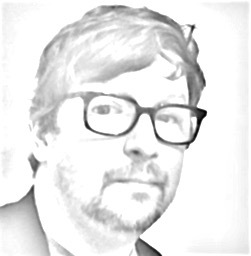 Drunken Boat first published “Letter from Home,” and they also have an audio file of Nurkse reading it.